The Master Lock No. 406 Dielectric Thermoplastic Safety Padlock features a 38mm wide Zenex™ Thermoplastic body and a 38mm tall, 6mm diameter plastic shackle to help prevent electrocution and arc flashing and to prevent electrical current from shackle to key. All components are non-sparking and non-magnetic. 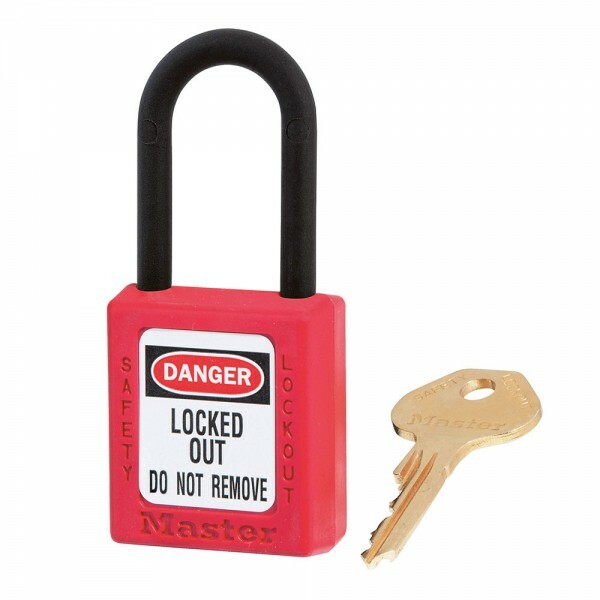 Designed exclusively for Lockout/Tagout applications, the durable, lightweight material is easy to carry and padlock has key retaining cylinder to ensure the padlock is not left unlocked.